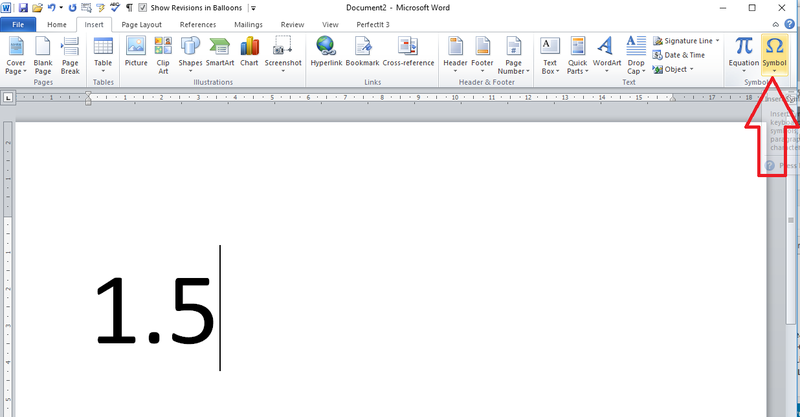 How do I add a dot or line above a number in Word to indicate a repeating decimal? This is something that is used when working with maths texts – a friend who is studying maths asked me about it a while ago. 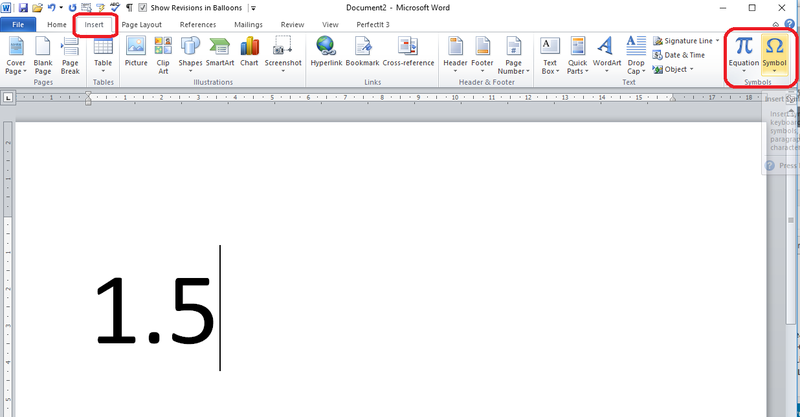 This article will show you how to add a dot or line over a number in a Word document to indicate a repeating decimal. Note that this will look different according to which font you’re using. This article has explained how to add a dot or line over a numeral to indicate a repeating decimal. If you’ve found this article useful, please share, comment or like. Thank you! This was easier than I thought it would be! Occasionally I have to use the Insert button, but always for diacritical marks in text. Never thought of perusing the entire list there. Thank you! my problem is how to place a vinculum over a decimal part. for ex: 0.3 is the number. I need a overline/ vinculum/ line segment over the digit 3 only. Have you tried this and did it not work? If you can give me more info, eg. version of Word, PC or Mac, I can see if I can find an answer. I had this issue as well. The dot appears but it appears between the recurring digit and the next space. 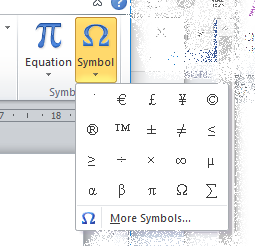 I’ve tried using the various ‘dot above’ options and none of them work, one disappears into the number and the other goes into the next space again. 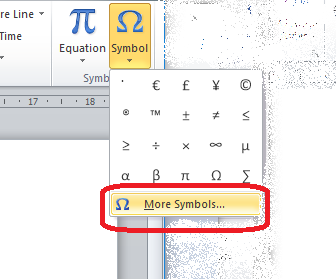 Cannot find an answer for this anywhere (using word 365). Sorry to hear this Nikki, are you using a Microsoft 365 subscription with the latest version of Word installed? Yes I am, if you are able to find an answer I’d be very grateful, this is the only place I’ve found where other people are reporting the same issue! 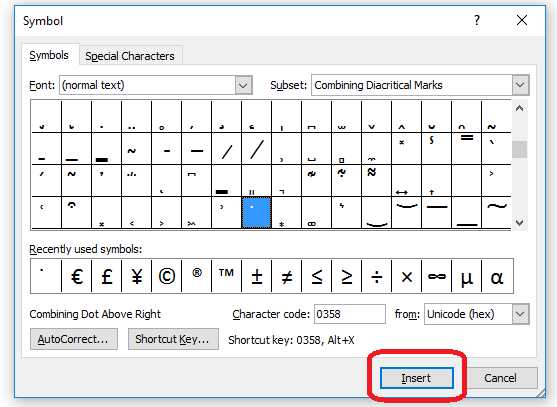 Are you certain you’re in the “combine diacritical marks” subset when you’re choosing your dot? Have you tried in different fonts? I’ve had a search and I can’t find any answers, either, those are the only two things I can think of (sorry!). Absolutely certain, I have attempted to use all three of the options (directly over, to one side and to the other) and none of them work. 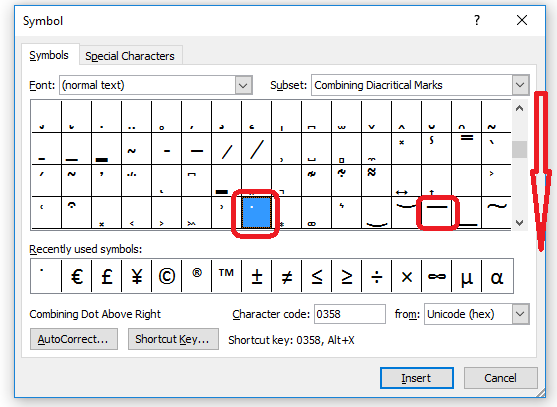 The best is when changing the font to calibri and the dot appears centrally but it is embedded into the digit, so not visible apart from a small bit of it. I’ve tried Arial, Times New Roman and Calibri and have flicked through the font list at others and none of them place the dot correctly. I’ve also tried to use the bar above instead but that also won’t be placed correctly. You’ve exhausted my options now, then! I can only suggest you try to contact Microsoft about it, on their forums etc – but if you find a solution, it would be smashing if you could pop back and let me know. Good luck and sorry I couldn’t sort it out for you. Hello, I am Anthony from Tennessee, finishing editing my first book, finally paid for. I’d like to put a vinniculum “over” as in “on top of” a set of two #’s. Not behind or in front, which seems to be all I can do. It would help my final edit if you could help~! Thanks and God Bless.- Anthony. Thanks for your question, Anthony. Does there need to be a line over each # or one bridging the two of them?